SHOP NOW! > Black Lace over Deep Red Formal Corset S-6X More Colors! 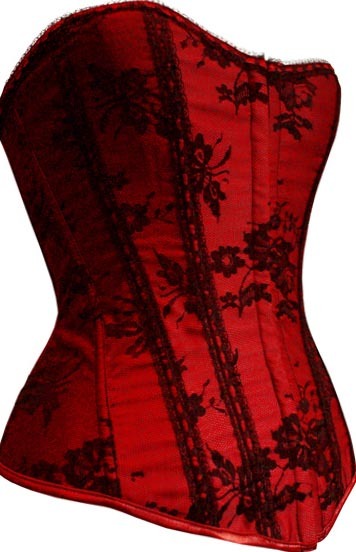 Look gorgeous in this Red Cherry Corset! Beautifully designed Over the Bust Corset, with 12 strong bones running through out, this rich toned corset will drop jaws whether part of a vampire corset costume, club wear, to top off a pair of jeans and heels, or that ultimate seductive corset in the bedroom date!